The superior doctor prevents sickness; The mediocre doctor attends to impending sickness; The inferior doctor treats actual sickness. – Chinese Proverb. I am a general practitioner and, by extension, an expert in preventive medicine. 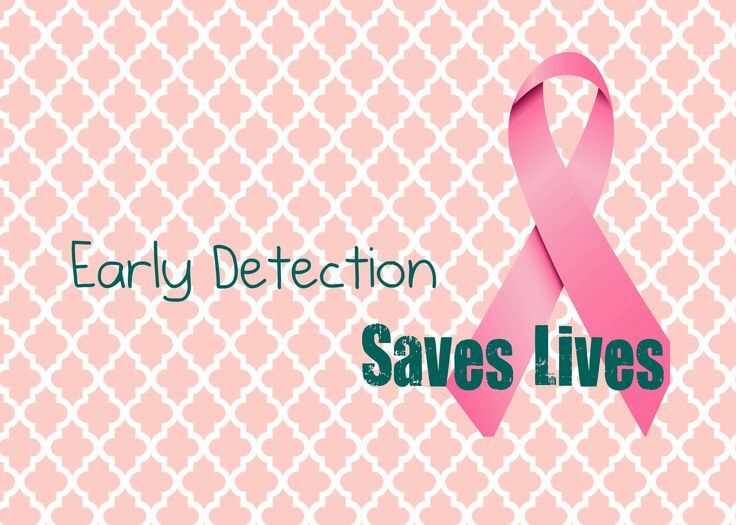 One of the cornerstones of disease prevention focuses on finding disease early, in the hope that early detection may save lives. This hypothesis drives medical decision-making in the modern world. It is no coincidence that Sherlock Holmes said, “It was invisible… I only saw it because I was looking for it.” After all, Sir Arthur Conan Doyle based the character of his inimitable detective on Dr. Joseph Bell, a Scottish surgeon. Unfortunately, catching something early to improve survival is not as simple as it sounds. No screening test is foolproof and a false alarm can cause significant psychological injury. Also, not all tumours are harmful, but the overdiagnosis of cancer may lead to unnecessary suffering. Despite obvious shortcomings, screening for certain cancers, such as breast, colon, or cervical cancer, have been shown to save lives. In my own practice, I use screening tests in accordance with guidelines published by the Canadian Task Force on Preventive Care and the USPSTF. 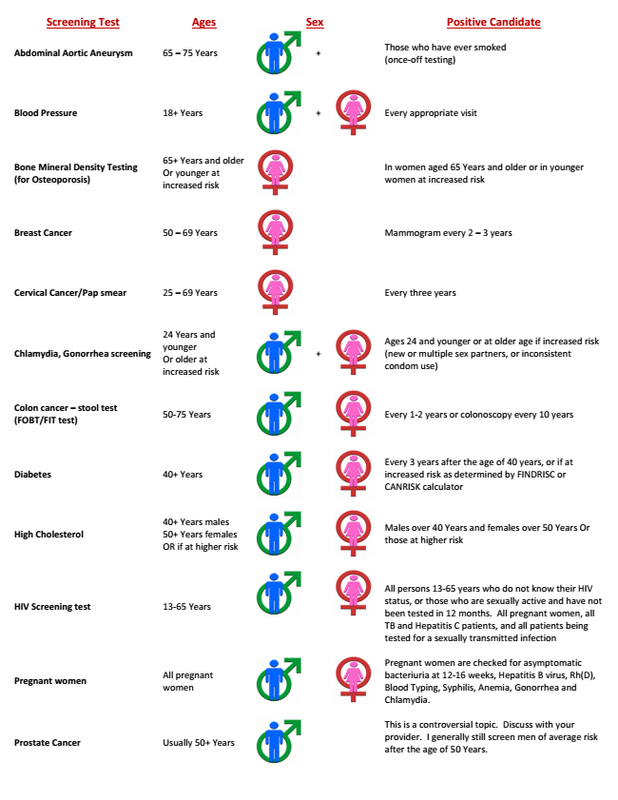 The age groups, and recommended tests documented here, are for people of average risk. This implies that there is NO significant family history or relevant risk factors. I sometimes deviate from these guidelines, depending on a patient’s family history, risk factors, and his/her personal preference. I look forward to seeing you at your next screening test.